Rated 1 out of 5 by Scrubber from Only VIVA I could find at the grocery store. I looked for VIVA soft and thick absorbant towels and could only find Multi-Surface. Bought them out of need. Don't like them. Rough, lighter weight. More like cheaper brands. I won't buy Multi-Surface again. Sorry, but I love the smooth, thick, soft, cloth-like version of VIVA - for decades. Rated 1 out of 5 by Kipper from TERRIBLE! VIVA VANTAGE IS MUCH MUCH BETTER!!!!!!!! VIVA MULTI-SURFACE, IS JUST ANOTHER ORDINARY PAPER TOWELL! VIVA VANTAGE ROCKS, WHEN IT COMES TO SCRUB ABILITY AND CLEANING! MY FRIEND'S CLEANING SERVICE HATES THE NEW VIVA MULTI-SURFACE ALSO! TOO MANY PEOPLE WERE COMPLAINING THAT VIVA ADVANTAGE WAS NOT SOFT.....WELL, SOFT DOES NOT GET THE JOB DONE. BRING BACK THE VIVA VANTAGE!!!!! OUR MOST FAVORITE PAPER TOWEL, EVER!!!!!!!!!!!!!!!!! Rated 2 out of 5 by Trip from They Pale in Comparison to Viva Vantage doing away with Viva Vantage, and offering this style as a 'replacement' was a huge mistake. i compared national brands, store brands, and budget brands for over three years and Viva VANTAGE is the best paper towel i ever used. the Multi-Surface Cloth style is simply just another ordinary paper towel; there are no 'cloth'-like attributes to it. the Vantage style was pressed so that it actually stretched like real cloth. i will continue to hunt down the Vantage style as long as it's available anywhere. and i will start comparison shopping again; the Viva Multi-Surface Cloth is the first one checked off my list. 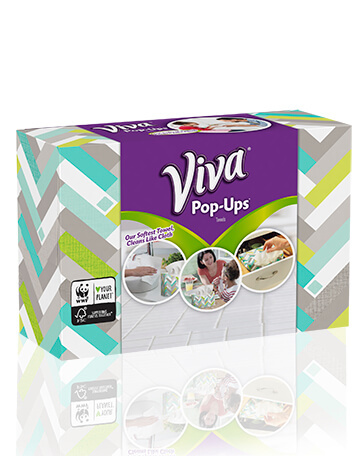 Rated 3 out of 5 by seejulesgo6 from So-so Viva multi-surface cloths were ok, I just didn't see any advantage to using them over my regular brand. Rated 5 out of 5 by Star22361 from Fantastic paper towel The Viva Multi-Surface Cloth was fantastic. It’s was so much thicker than regular paper towel and really held up well while cleaning. It was very durable and absorbant too. I would highly recommend these for anyone whose looking for a good paper towel. Rated 5 out of 5 by Jax479 from Great clothes I have started using my Viva Multi Surface Clothes, and I love them. They work great with anything. They are thick, but not too thick. And clean us messes perfectly. Great for the kids, too.